How Long Will Bad Debt Hang Over Me? Millions of Canadians have a credit report that is managed by credit reporting agencies. Your credit report keeps track of what credit products that you utilize along with how you handle paying your bills. It is important to know what is in your credit report as well as how long all that information stays on there and how you can fix things that may not be so good on your report. A credit report is basically a condensed version of your credit history. You have a credit history if you have ever used or currently use a credit card, have ever had or currently pay for a personal, auto or home loan or have been involved with “buy now, pay later” deals, then you have a credit history and therefore have a credit report. Your credit report is first created when you initially apply for any type of credit or loan. Your credit report includes important information such as when you first opened the account, the total amount of money that you owe, whether your payments are on time or they are late, whether or not you miss your payments and whether or not you stay under or go over your credit limit. Your credit score consists of three numbers that range, in Canada, from 300-900. The higher that your credit score is, the better off you are when it comes to obtaining credit or borrowing money. To come up with a credit score, a math formula is calculated based on what is in your credit report. Basically, you gain points for being on time with paying your bills and you lose points if you have troubles managing your credit. There are basically two parts to a credit report: your personal information and your credit information. The section on personal information consists of information including your full, legal name, date of birth, current address, past addresses, current phone number, past phone numbers, social insurance number, driver’s license number, passport number, current employer and past employers. The section on your credit information contains a wealth of information including credit accounts like credit cards, retail cards, loans and lines of credit, telecommunication accounts including internet and mobile phones, negative banking information such as chequing accounts and savings accounts that have been closed for reasons such as owing the banque money, writing bad cheques or account holder fraud, public records such as bankruptcy and legal judgments, car and home liens and inquiries (people who have requested to view your credit report). Inquiries can either be hard or soft. Hard inquiries include things such as rental applications and employment applications. These are inquiries that show up on your credit report and affect your overall credit score. Soft inquiries do not show up on your credit report and therefore have no impact on your overall credit score. The two major credit reporting agencies in Canada are TransUnion Canada and Equifax Canada. In Canada, provincial laws determine the maximum amount of time that these credit reporting agencies are allowed to keep all of your information. Credit transactions including information that is negative in regards to loans, credit cards and lines of credit may be kept for six years. The counting start time is determined by the actual agency. For instance, Equifax starts counting from the date that there was last account activity whereas TransUnion starts keeping count from the first day of delinquency. Secured loans including home mortgages and auto loans are kept on file for six years with the exception of Equifax, which keeps this information for 7-10 years. Equifax starts count from the filing date and TransUnion starts from the first day of delinquency. Negative banking information stays on your credit report for a period of six years. Equifax will start their count from the default transaction date whereas TransUnion will begin their count from the date the account was closed or written off. Inquiries are kept on file with Equifax for three years and TransUnion for six years. Both of the credit reporting agencies will start count the date that the inquiry is requested. Legal judgments are counted by both agencies starting on the filing date. However, what differs is how long this information stays on your record. For the most part, this information will stay on record for six years, with a few exceptions. In Prince Edward Island, Equifax keeps the information for 7-10 years whereas TransUnion keeps it for seven years for those in Labrador, Ontario, Newfoundland, New Brunswick and Quebec and 10 years for those in Prince Edward Island. Collection agency debts are recorded for a period of six years. Equifax will start counting the day the debt is sent to a collection agency and TransUnion will start the date it first become delinquent with the lender. 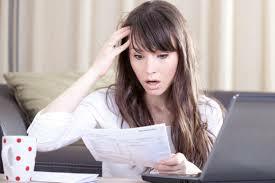 Bankruptcy will appear on your credit report for six years with the exception of TransUnion only. TransUnion will record this information for seven years for those in Prince Edward Island, Ontario, Labrador, Quebec and Newfoundland. The start counting date is from the date that the bankruptcy was discharged. Your credit score is based on several factors including payment history, use of the credit you have available, how long your credit history is, how many inquiries are on your report and what types of credit you have. When it comes to payment history, you can improve your credit score by always making on-time payments. You should try and pay your balances in full each month but if this is not possible, you should at the least make the minimum monthly payment. Should you find yourself having financial difficulty paying a certain bill, it is important that you contact the lender to see if a payment plan can be worked out. You can improve your credit score by the way that you use the available credit that you have. You should attempt to not use any more than 35% of the credit you have available to you. For instance, if you currently have a credit card with $15,000 of available credit, your balance should be no higher than $5,250 at any given time. It is important that when it comes to how long your credit history is and your credit score that you actually leave open one of your older accounts. This is because newer accounts may lower your credit score. You should also use it every now and then so that it stays open. If you are in the market for an automobile or a home mortgage, you should try and do this within a period of a week or two. This is because if you do it within this time frame, they are usually combined into one single inquiry. For other inquiries, you should only look for credit or borrowing money when you really need it and limit the amount of times that you fill out applications. It is important to have a combination of different credit types. This is due to the fact that having only one kind of credit, such as a home loan, may lower your credit score. However, while having a variety of credit types on your credit report may score you more points, you need not go hog wild and crazy. You need to be able to pay back what you owe and pay it back on time. Some important things to keep in mind when it comes to your credit score is to be sure to keep your account balances low, keep the number of consumer finance company account to a minimum, keep loan balances low in comparison to the total amount of the loan and keep revolving accounts current. While credit reports and credit score may seem a bit confusing, it is important for your financial future that you keep your credit score as high as you possibly can. Bad debt can hang over your head for many years if you are not careful in the way that you pay back your debts and handle your credit.